Capsules with buffered creatine monohydrate, food intended to meet the expenditure of intense muscular effort, especially for sports people. 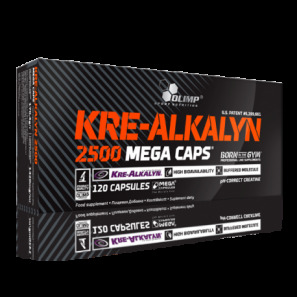 Olimp Kre-Alkalyn 2500 Mega Caps - The World's Only 100% Absorption Creatine For Maximum Results! 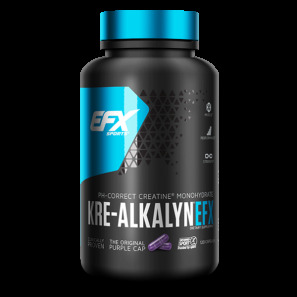 Tested Krealkalyn Pure patented Krealkalyn no fillers or additives!